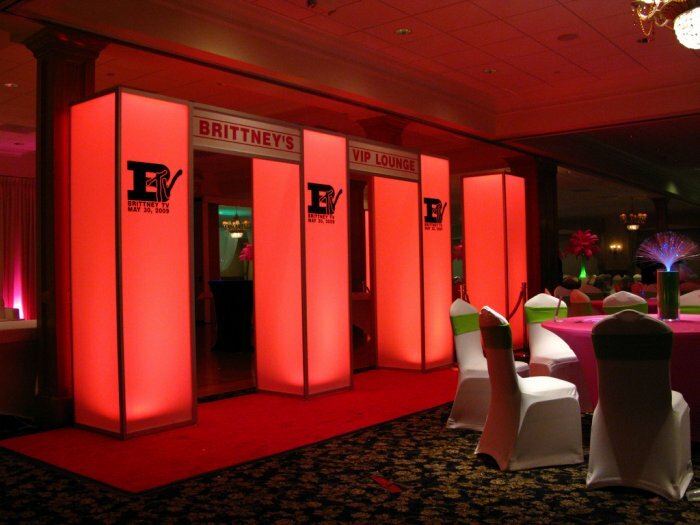 LED towers can be placed throughout an event’s location to add ambient or theatrical lighting. The ability to color match the lighting package with your event’s theme also offers a much more personalized look and feel. Additionally, our LED towers can provide the perfect canvas for backlit silhouette graphics.